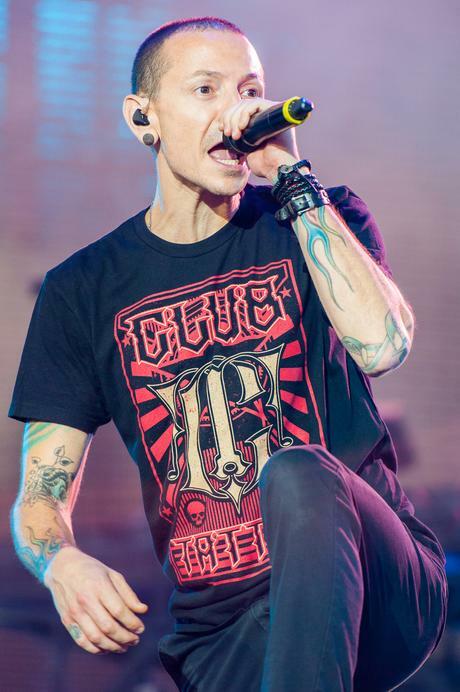 Bennington, who was just 20 years old when Linkin Park was formed in 1996, spent much of his adult life in the spotlight—yet he never kept his struggle with depression a secret. In 2015 he opened up about his depression to music magazine Rock Sound: “I literally hated life and I was like, ‘I don’t want to have feelings. I want to be a sociopath. I don’t want to care what other people feel like. I want to feel nothing.’” He spoke openly about the root causes of his depression with Kerrang in 2011—namely, being molested as a child—and spoke about his struggles with sobriety in a 2009 interview with Noisecreep. These comments, which might now confuse some fans given Bennington’s death, are a harsh reminder that those suffering from depression may exhibit different emotions than the ones they actually feel. And this tension is a particularly complicated one for men. Bennington’s death also reminds us that we’re long overdue for addressing the stigma that surrounds men’s mental health in particular. It seems that now more than ever, our society is making strides towards ending the stigma that has long surrounded mental illness. But that progress is gendered: for many men, the issue remains rather taboo. As of 2016, 76 percent of suicides in the UK were committed by men, and suicide was the leading cause of death for men under 35. And yet only 12.5 percent of men reportedly have a mental illness. Standards of toxic masculinity that maintain that reaching out for help is the same as admitting defeat likely prevent many men from coming forward. A 2016 study found that men living with mental illness are much less likely than women to seek support from friends and family — in fact, more than a third of men in the study had waited more than two years to tell their loved ones about their mental illness, while some chose not to tell anyone at all. “It takes courage to be open and honest about mental health, but when suicide is the leading cause of death for young men, we all have a responsibility to push for change,” Mark Rowland, director at the Mental Health Foundation, told The Guardian in 2016. Ending the stigma that surrounds men’s mental illness can start with those who have loved ones who have experienced it. Remind your father, brother, best friend, or boyfriend that expressing his emotions is not a sign of fragility and that you’re there for him if he wants to express those feelings to you. Helping the men in your life take even just one step forward in this journey could be more than enough. If you or someone you know is struggling with their emotional health, visit the National Suicide Prevention Lifeline or call 1-800-273-TALK (1-800-273-8255) to speak to someone.